Asylum has been going for a year now and over fifty bands and solo artists have contributed to the nights. 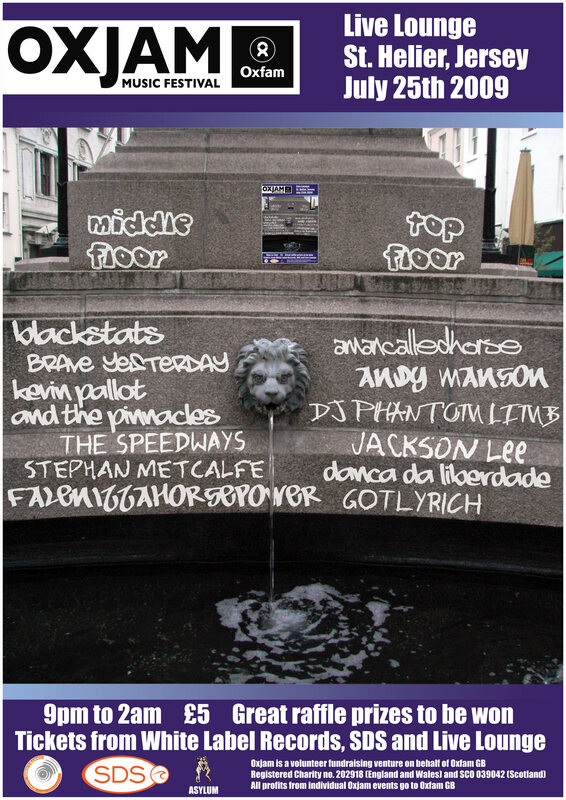 It is thanks to those artists that the reputation of Live Lounge as Jersey’s outstanding music venue has grown in that time. Asylum has demonstrated by objectively representing the island’s diverse music culture that it is not necessary to hire tribute bands or the same few guaranteed crowd-pullers to preserve a collective project of artistic relevance. Thanks to all fans of good music in Jersey for their support. 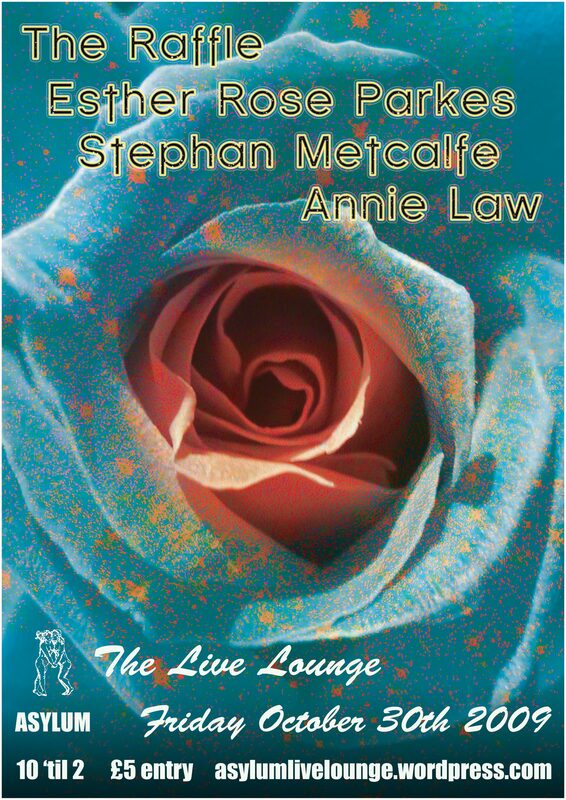 We have chosen to mark the anniversary with a weekend of shows starting on Friday October 30th at Live Lounge with The Raffle, Esther Rose Parkes, Annie Law, Stephan Metcalfe and DJs Carlo and Livingstone. 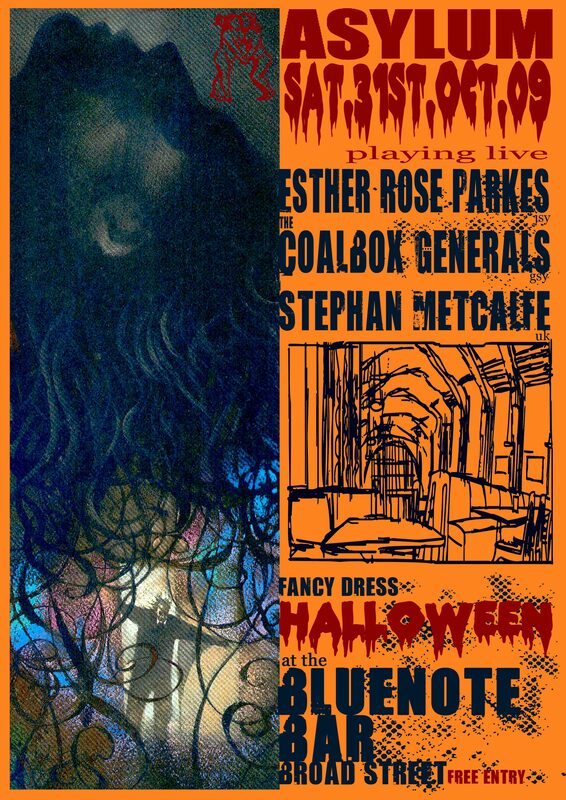 The entertainment continues on Saturday October 31st at Blue Note with The Coal Box Generals, Esther Rose Parkes and Stephan Metcalfe. The Blue Note in Broad Street has an essential place in the history of musical life in St. Helier. It was established by Noel Flood in the early ’90s as a venue where lovers of honestly played music, predominantly blues, jazz, folk and fusion, can enjoy a comfortably intimate and authentic live music experience. 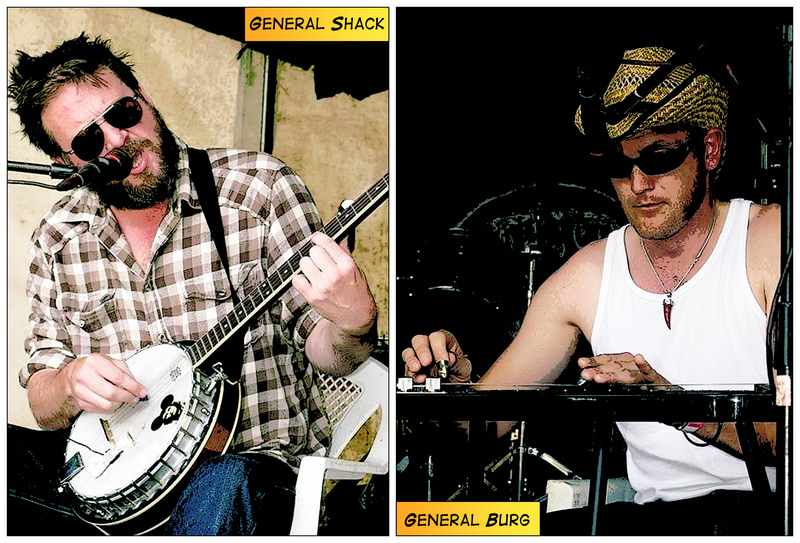 Asylum has invited The Coal Box Generals to perform there on Saturday October 31st. 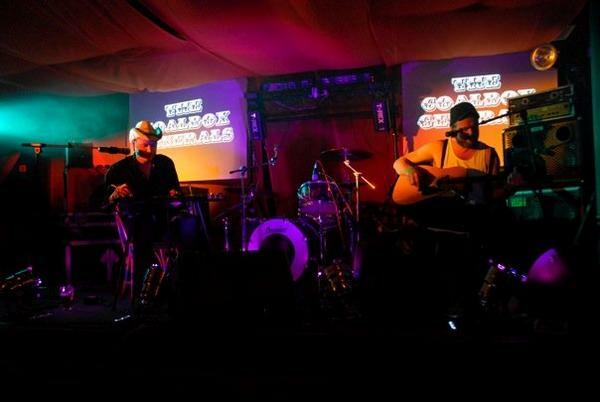 This duo is a significant offshoot of Guernsey’s esteemed, self-styled ‘cosmic skiffle’ combo The John Wesley Stone, comprising General Shack (acoustic guitar, banjo and vocals) and General Burg (electric lap steel). And what great music it is, infused with the irresistible charm of blues and gospel music crafted to a fine edge, scratchy, atmospheric, and timeless. Their performances are animated by their love of artists reinterpreting the blues for the twenty-first century such as The Rev. Peyton’s Big Damn Band of Indiana, Arizonian alternative country pioneers Calexico, and Nick Cave’s primal blues gang Grinderman. They borrow and mix all manner of American ingredients such as the shuffling dance rhythms of Bo Diddley in their roistering hymn to stimulation Caffeine Benzedrine Nicotine, to the dust-blasted, love-scarred balladry of Whiskey Made The Devil Outta Me. The Blue Note is a perfect location for a band of such quality and atmospheric power, and we hope you’ll be there for a night to remember. It’s free, too! 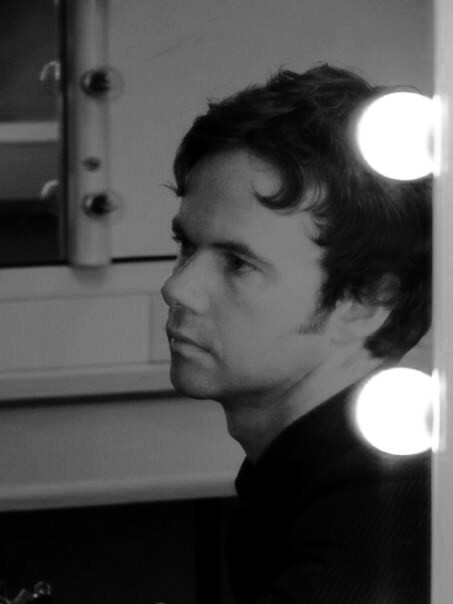 Esther Rose Parkes and Stephan Metcalfe will also be performing at the show. The Raffle formed after the split of The Valdees in September 2007. Matt Ward (The Arc and Moped, both of Liverpool, and Yeboah of Guernsey) and Seb Kirk (Yeboah and The Valdees) started jamming with a couple of other lads (the two Nicks from rockers The Bridge). After a few lineup changes they brought in Will (Yeboah and The Valdees) to relieve Matt from singing and writing duties and also to play rhythm guitar so Matt could go back to bass. Not long after they drafted in Ben Hewlett (Yeboah and The Valdees) to take over drumming responsibilities. They had basically reformed Yeboah but as a four piece and instead of playing songs with a dark edge they began writing tunes which hold a breath of optimism in them along with some beautiful melodies and lyrics. 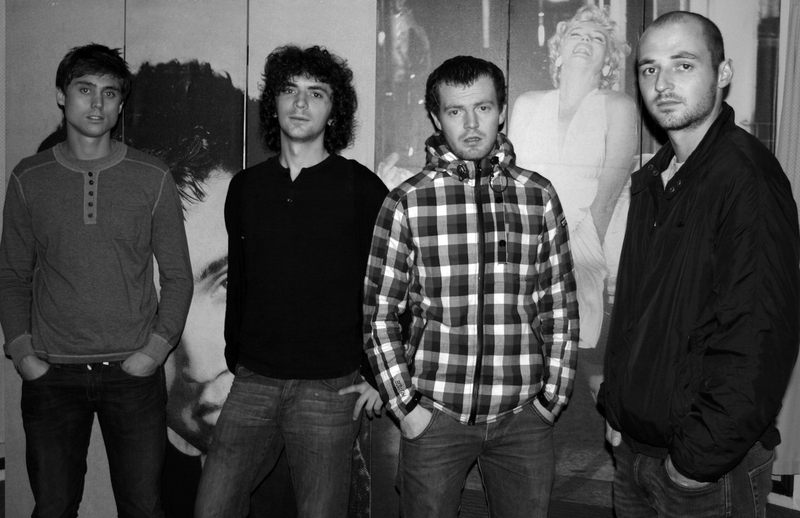 They spent last year mainly writing and rehearsing and played the odd gig but then back to the studio in Autumn 2007 to have a rethink about refining the sound. They got Ben to add more backing vocals so they could do some three part harmonies and carried on writing and practicing. Now with a mostly brand new set (although they’ve kept a couple of the fan favourites from last year) and a more refined, jangly sound they’re looking forward to pushing forward and getting many people to hear them. If you like ’60s tinged, melodic, guitar pop rock with songs you’ll be humming for weeks then make sure you catch them. 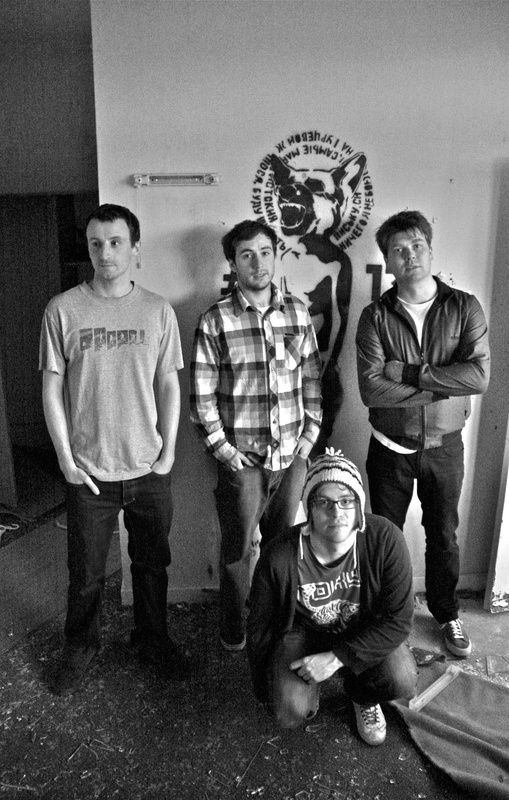 The Raffle are Will Tostevin (vocals and rhythm guitar), Seb Kirk (lead guitar), Matt Ward (bass and vocals), and Ben Hewlett (drums and vocals). 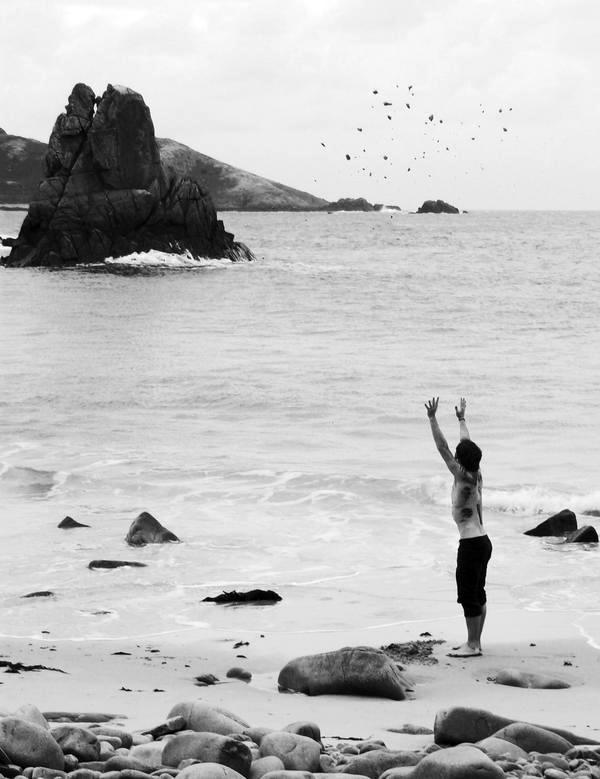 They were enthusiastically recommended by Esther Rose Parkes after she saw them perform in Guernsey in Summer 2009. An exclusive introduction to the collection of complex and richly emotional songs making up Esther’s soon-to-be-released album produced by Jim Akin and recorded at Viewfinder Records, LA, and Esther’s home studio in Jersey. With a range of instruments including bass and acoustic guitar played by Jim, drums by Tom Dunne, guitars by Jerry Andrews, and piano and backing vocals by Californian folk rock superstar Maria McKee, it is a uniquely evocative set of songs. An EP, Slaking The Dust, has recently been made to preview tracks from the forthcoming album and I’ve been lucky enough to get one. In this era of virtual product it is an object of considerable charm and tactile quality with a lovely gatefold package, great art designed by Steve Hutchins, and a rose emblem on the CD applied by Esther herself. 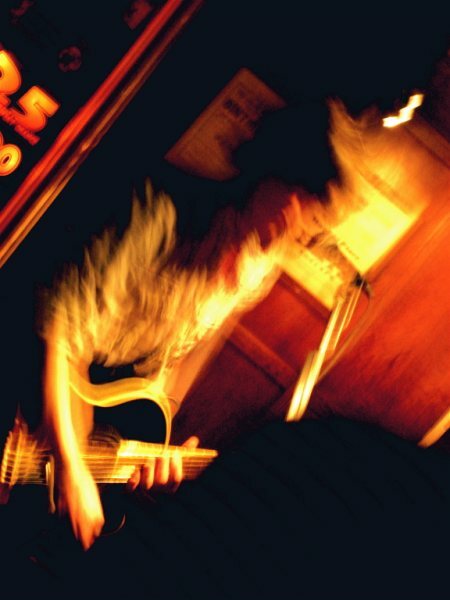 Slaking The Dust EP contains five songs varying in mood from the sparse, introspective title track with its gentle rhythm and optimistic lyric of new beginnings, to dramatic soul ballad Dancer’s Devil steeped in dense rock textures and featuring a vocal performance of thrillingly restrained passion. Everywhere on the disc her new collaborators add interesting tonal colour. Maria McKee’s backing vocals are beautifully judged and Esther’s singing throughout is perfect, delivering her words of love, loss, hope, and mysterious destiny with a rare grace. Esther recently completed a successful Scandinavian tour. Since returning to Jersey she has recorded a set of songs with Falenizza Horsepower, at Cerf Studio, to be released in 2010. 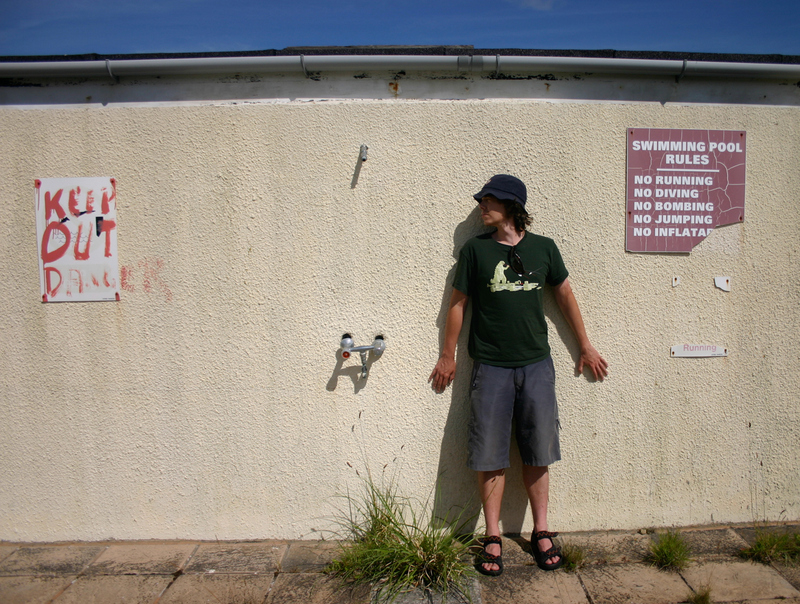 Fans of Stephan Metcalfe who reside in Jersey, of which there are many since he played several well received shows with Brave Yesterday and Oxjam Jersey this summer, have another opportunity to hear his utterly original and gorgeously poetic songs. His various studio projects, including The Engine Room, are collections of formally audacious songs constructed with a quirky experimentation that embraces electronic processing of guitars, drums and voice in a constantly transforming sonic space like no other. Stephan has recently returned to Manchester where he continues to perform to appreciative audiences, and he is journeying back to Jersey for this special show. Annie Law is the kind of singer that after just a few moments of hearing her it is obvious that she has a voice of amazingly sensuous quality and a deep understanding of the drama and melodic possibilities of classic soul music. Not only is she a brilliant singer, and excellent guitarist of understated style, but her songs are astoundingly good. With maturity of lyrical invention that belies her youth, Annie Law appears to be slowly but surely building a collection of self-penned masterworks that would sound perfectly right next to many of the great soul classics of the last fifty years. 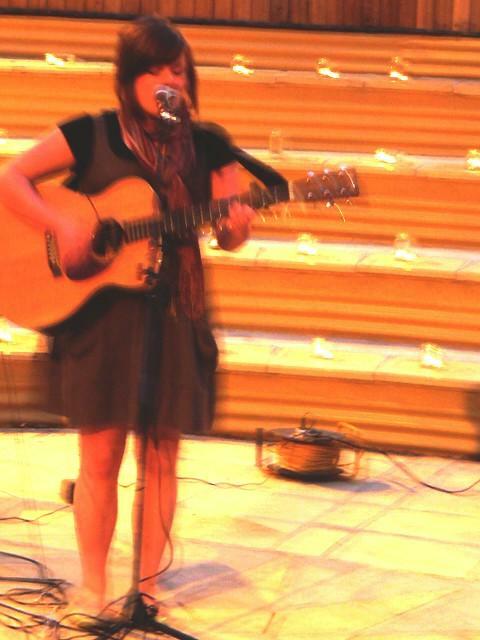 Annie has played at the last two Jersey Live festivals and at the recent Branchage Film Festival. She supported Nerina Pallot at Jersey Opera House in 2008. She says that since working with other musicians her style has become more upbeat. On this night Annie will be joined by Joe Hutchinson on guitar.